The hotel is under construction. You pay for the price. Be warned with non-refundable promotion. It's non-refundable for a reason. If I only knew it would be a horrible experience, I would have not fallen for the great offer, so to speak. The hallways in every floor is ugly, dirty, and musty. The lobby smell is super strong. It gave me a huge migraine each time I pass by. It smells like incense and moth balls. It's toxic. If you're sensitive to smell, stay away from this hotel. The free breakfast, I say, is amazing and what kept me a little satisfied with the service. They serve Asian and American breakfast. Fried eggs, bread toast, butter, Viet coffee, Lipton tea, juice, pastries, fried rice, sautéed veggies, congee rice porridge, chicken pho soup, and they have microwave and toaster. They did not go wrong with their food. However, the rooms is musty and smelly at least the room I stayed in, Room 322. They need to replace the AC filter or put a new AC appliance. Clean the carpet too.! Don't be deceived by the photos alone. Read the reviews by others. This place is under construction and it's dirty, musty, and ugly in the hallways. The air conditioning is old and requires replacement. I got sick due to the dirty smell that was coming out of the vent. The carpet is dirty and full of stain. The bathroom is always flooded when you shower. You can easily slip and fall. Shower curtain is dirty and has stains. The bed is so hard and very uncomfortable. 2 pillows is not enough for me. The front desk staff is a bit rude. I try to avoid them as much as possible. I will not return here or will I ever recommend this place to anyone. Stay away from this place. 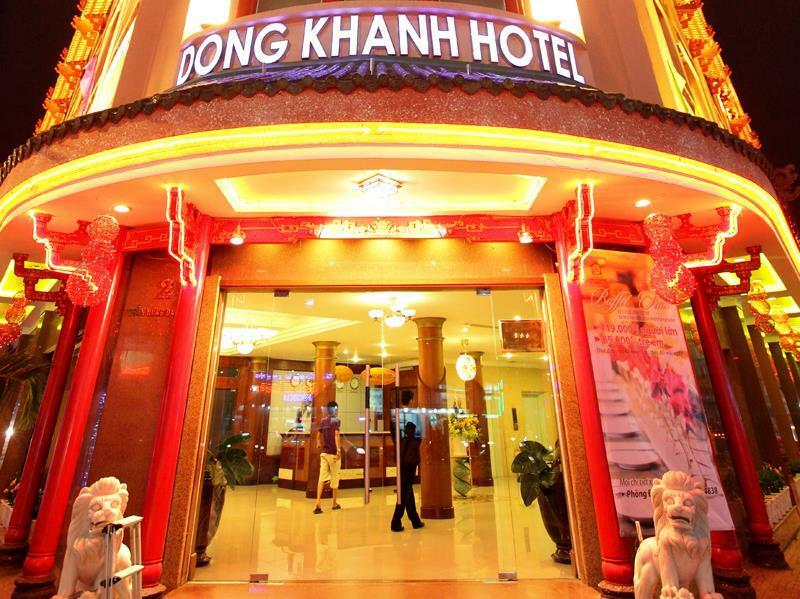 My family used to stay in Dong Khanh hotel, I felt that the hotel services are very good with 3 star standard. The hotel has classic architecture, with friendly staffs. Conveniently located hotel, near the shopping center, security. Breakfast is full of dishes, beautifully decorated. "Thank you very much for taking the time to review our property. It's always heartwarming to hear that our staffs was appreciated. Old hotel? 3 star only? Rating 6.8 only? The hotel room carpet looked old. Do not let these be a negative factor in deciding your stay. This is my 5th hotel I've stayed this trip in HO CHI MINH. This 3 star hotel is cleaner and the staff were friendlier then other 4 star hotel that even had a better rating. No insects were found in my room. No ants. Fast check in and check out. Excellent FREE wifi, fast and connected all the time. Location is good. Walk around the hotel and you can find countless of restaurant, from low budget to high class. There is a few laundry around the hotel with decent pricing. There is a few day and night market, within walking distance to the hotel. 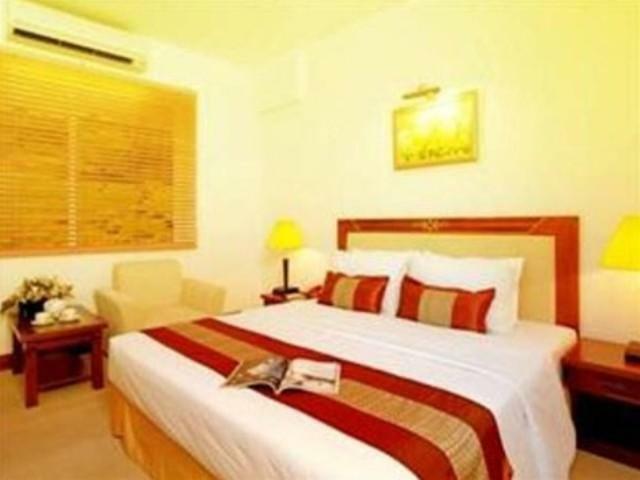 This hotel is located exactly at the cross junction but there is no problem in getting taxi. Taxi to district 1 and airport cost me about 100,000dong, about 20mins. I had an excellent 4 nights stay. the hotel is big and spacious. the rooms are clean and the service is good. the service crew was able to speak in english and it is not easier to find in vietnam. i also like the massage service available at the hotel. Furniture old fashion Vietnamese style, bathroom clean enough for a 2 days stay. Breakfast very poor for Asia (no fruit at all - seems incredible in Vietnam!). The table cloth were really very dirty. Reception’s staff was perfect and very kind. I would recommend it knowing that hotels in Vietnam are very simple and not expensive... and that you can enjoy breakfast outside of this horrible dining room! Thank you for your comments, We are very sorry about the breakfast, we'll fix that and hope to welcome you next time. Thank a lot. We would like to thank you for your great reviews, hope we will welcome you to stay at the hotel during the next holiday with better service. About service: Staffs are available and prompt to awnser to questions. 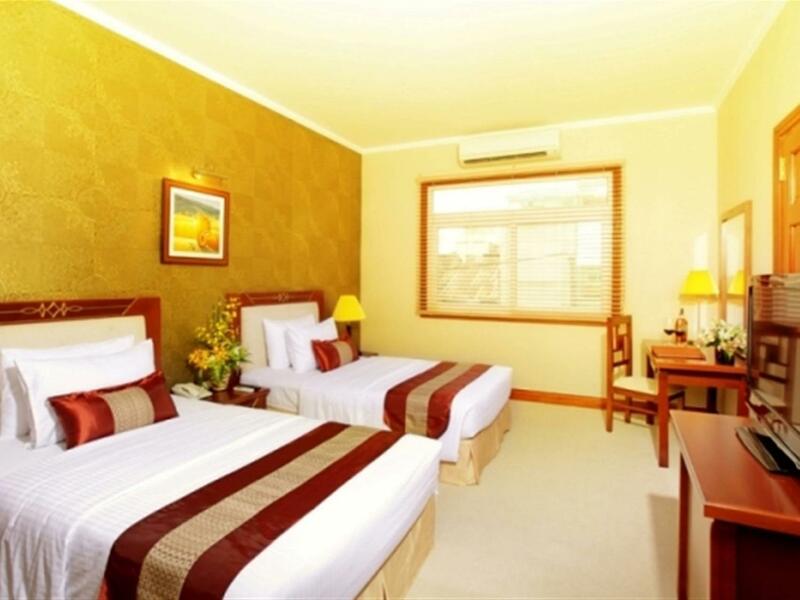 In addition, the hotel is clean, good quality and nice satifaction. About product (food): dishes are quite delicious but the coffee is not very good. In general, I would comeback I think! Firstly the breakfast never change and the foods displayed was very little. It seem like they were afraid of guest staying there to eat. Secondly the rooms carpet is very dirty and the air condition is very old, cannot adjust the temperature. The door is not even, when closed can see though the small hole. Last but not least, the staffs were not helpful Eg getting taxi, changing of currencies, etc. You need to do it yourself. Firstly the breakfast never change and the foods displayed was very little. It seem like they were afraid of guest staying there to eat. Secondly the rooms carpet is very dirty and the air condition is very old, cannot adjust the temperature. Last but not least, the staffs were not helpful Eg getting taxi, changing of currencies, etc. You need to do it yourself. I booked the Deluxe Room on Booking.com listed as 28 m2, but it was actually only 22 m2. They subsequently upgraded me to "Suite Room" that was 37 m2, but it had no windows. 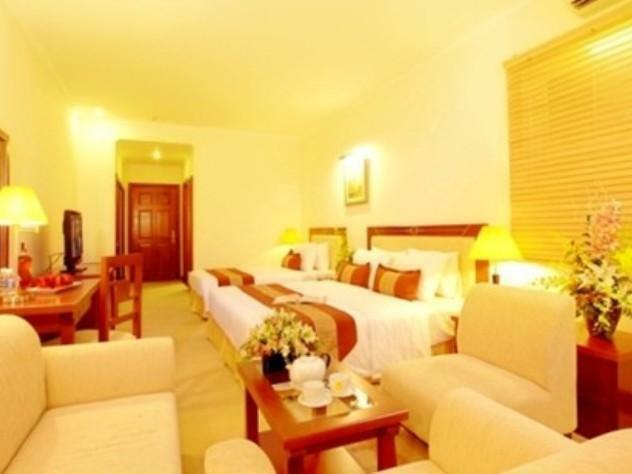 The "Dong Khanh Suite" is listed online as 56 m2 with a city view. Other than the room size embellishments, the hotel was pretty nice. The staff were friendly. There's an automatic show polisher in the lobby. There's a 24 hour massage parlor attached to the hotel. You are in Chinatown, and the entertainment of choice here are KTVs and massage parlors. The biggest impression is I found my name as The Guest of The Day written on a big board close to the front desk. 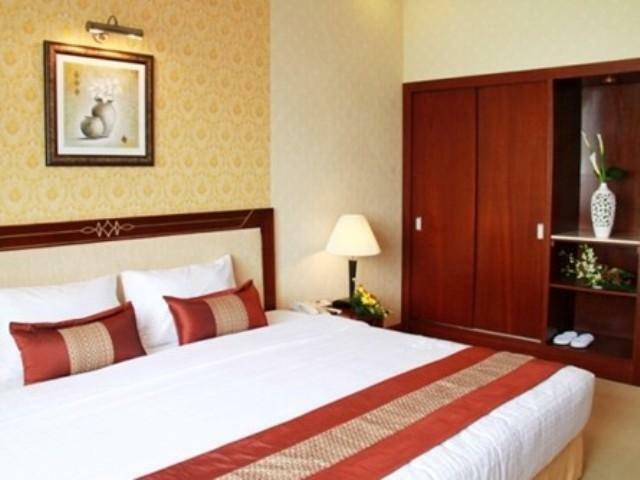 Hotel is close to other Chinese restaurants and shopping market. Room is ok and value for money. Staff is helpful.